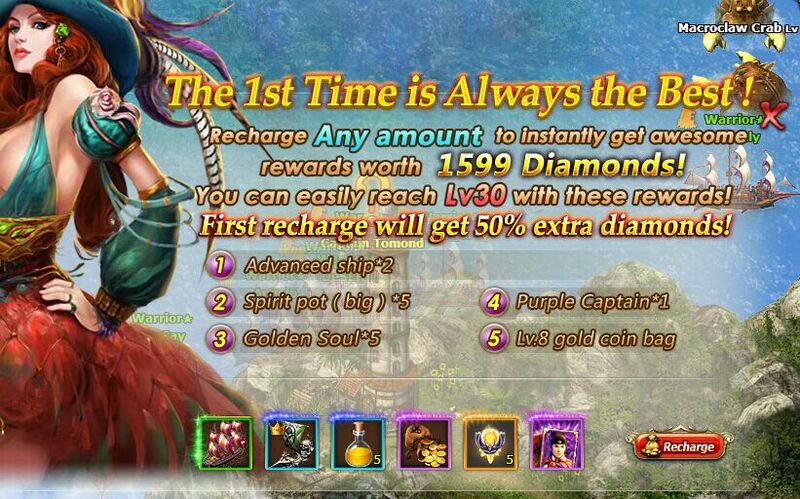 Dear players, first recharge has a bug that you can't claim the rewards. We will send your rewards manually in this weekend. This bug will be fixed on Next Monday. Sorry for this inconvenience. First recharge bug is fixed at 02:00 am EST on 3/21.